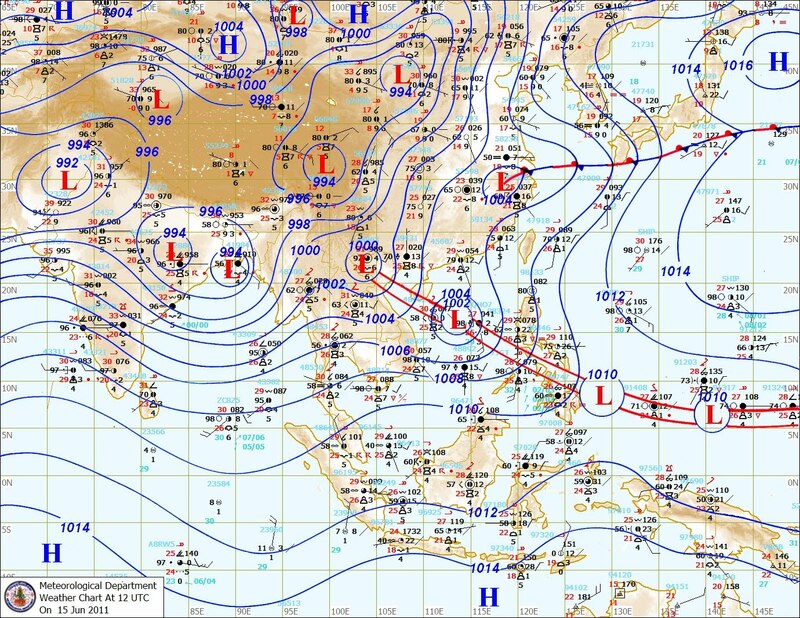 The Thai Met Office Chart shows the low, well marked now at 996mb. As explained, BB1 is expected to move along the trough already prevailing in the North.The (imaginary) line joining the 3 lows in the Northern region of the Sub-Continent is the trough position. But, it should be remembered, that though BB1 will move tracking the trough, initilly north till hitting land , and them NW. The cloudings of this system are in the Southern half, hence, precipitation will travel with the system's Southern quadrant. since system is not deep, will fizzle out by reaching North M.P. After nearly a year with La Niña conditions, both oceanic and atmospheric indices have dropped to neutral conditions across the Pacific Ocean.The 30-day (SOI) on 11 June was +7.7. If one recalls, Vagaries had mentioned in its long term forecast for June of a weak MJO phase after 25th June. Well, it (unfortunately) seems to be on schedule. International forecasters feel, MJO will be in a weak phase from roughly 20th June. But, they caution this time the waxing-waning is a bit "erratic". Rainfall in central/peninsula and NW India can become erratic, in such phases. I feel erratic may mean normal to below normal, not the other extreme such as very high precipitation. Shall keep posting on this . Live eclipse here: http://www.livestream.com/swansiliguri (Thanks Akshay). Hi Rajesh, somehow i feel this bay low is getting hyped, it might not yield desired rains in the ghat areas across konkan coast nor pericpiate rains in the central India beyond chattisgarh, the low seems to have formed a bit too close to the land and may be it might miss a western disturbance during its stay. lets wait and watch , i hope low keeps its initial promise !!. @ananth.Next few days precipitation on a slightly higher scale in Konkan due to BB1. But, i too mention it fizzling out near M.P. @sridhar. I work out precipitation depending on the cause and coditions and type of rain expected. Not necassarily correct, as quantum forecast is most difficult. Thanks Rajesh, i guess so. may be we might have to wait for July for a copy book Bay depression to happen. somehow since last two years bay is not aiding monsoon. @Rajesh Look like mumbai will get rainfall of 40/50 ml per day till next tuesday. 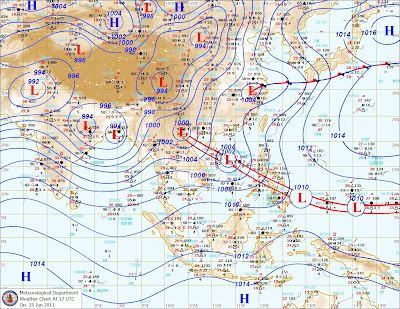 Is there any chance of formation of bay low during the weak phase of MJO or any pulse from south china sea system. 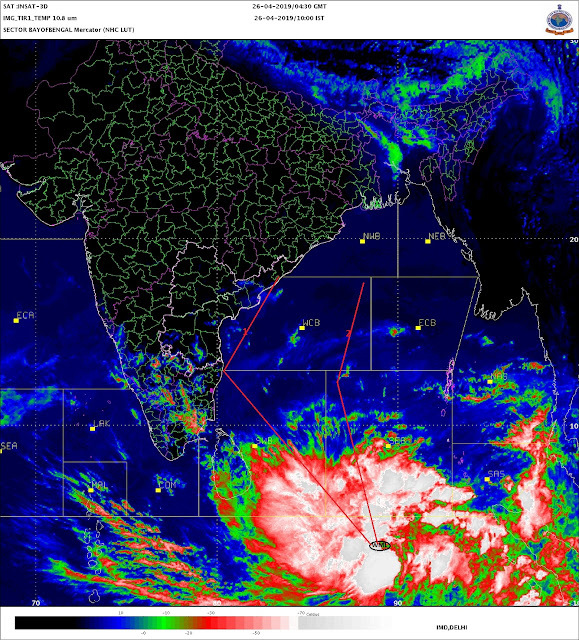 acc to imd the bob low pressure is a depression..was that expected?